. إن Quest North Ryde حريص على توفير الراحة للنزلاء، فلا يوفر الموظفون جهداً في تقديم أفضل الخدمات وضمان حسن الاستقبال. يمكن للنزلاء الاستمتاع بالميزات التالية: واي فاي مجاني في جميع الغرف, مكتب الاستقبال على مدار الساعة, مرافق مخصصة لذوي الاحتياجات الخاصة, واي فاي في المناطق العامة, صف السيارات أثناء إقامتهم في هذا المكان الرائع. 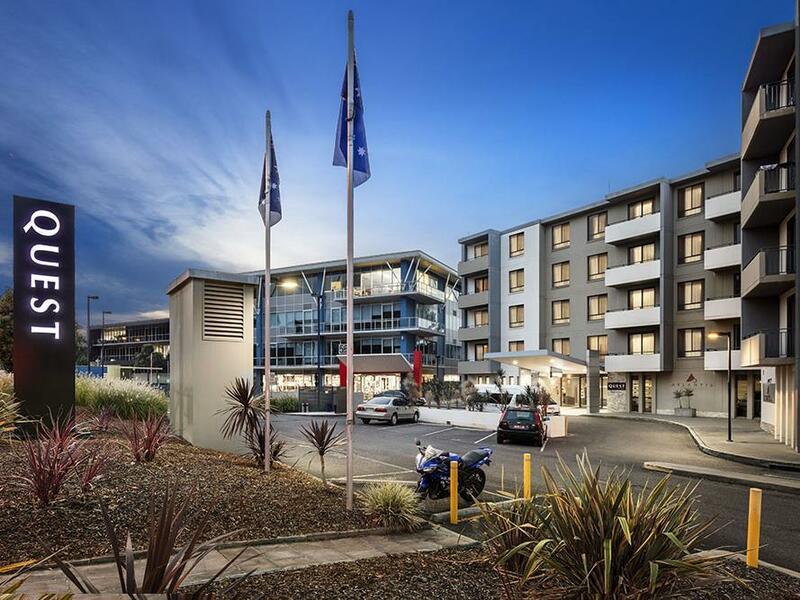 تنعكس أجواء Quest North Ryde في غرف الضيوف.تلفزيون بشاشة مسطحة, اتصال لاسلكي بالإنترنت, اتصال لاسلكي بشبكة الإنترنت (مجاني), غرف لغير المدخنين, مكيف هواء هي بعض الميزات الموجود في العديد من الغرف. يقدم الفندق خدمات رائعة كمثل حوض استحمام ساخن, مركز للياقة البدنية, حمام سباحة خارجي, حديقة لمساعدتك على الاسترخاء بعد نهار طويل من النشاط والتجوال في المدينة. إن Quest North Ryde هو خيارك لخدمة الفنادق الراقية في سيدني. يرجى العلم أن موقف السيارات متاح في الموقع ويجب القيام بحجز مُسبق. تنطبق رسوم. إذا أردت الحجز، يرجى الاتصال بالفندق مباشرةً عبر بيانات الاتصال الموضحة في تأكيد الحجز. يجب تقديم بطاقة ائتمان سارية بها رصيد؛ من أجل الحصول على التفويض المسبق لحجز مبلغ منها (بالمبلغ الذي يقدره كويست نورث رايد) باسم النزيل عند الوصول. يتم احتساب رسوم إضافية بنسبة 1.5% على جميع الحجوزات التي سدادها ببطاقة ائتمان. Happy to recommend this hotel to others very clean and staff were great. My partner and I stayed here for a few days and we were really happy with the facilities and the cleanliness of the property. Location is within the business district and on a main road but we had no troubles sleeping at all. 4/5 stars. Just some small things, a hole in the pillowcase, terrible pillows, filthy ice tray, fridge froze my salad, pool full of hairy caterpillas and didn't realize we would have to pay for parking but brilliant shower, clean room, we overlooked the courtyard so it was quiet, pretty comfy beds, nice to have windows that opened and the staff were lovely. They even sent around a note saying we had an extra hour before checkout due to the clocks changing. I'd stay again. The hotel was had simple, clean and comfortable, and very conveniently located for my visit. However, it was very expensive for the overall facilities (possibly just reflecting how overpriced Sydney is in general). We just stayed for a night. The hotel was under renovation during we stayed. There wasn't a proper reception and lots of dust in the lobby and the lift. However, the cleanliness of the room was still kept a high level and I couldn't hear any noise during my stay. The staffs were friendly. It's about 10 mins to the train station and 30 mins to city by train. Good value for business trips and people who look for a decent place to stay with a limited budget (and doesn't mind your hotel close to a Cemetery). Handy to Macquarie Uni. It was quiet, clean and the bed was comfortable. The aircon was not adequate for the room size. There was a good restaurant next door with terrific service. The staff were friendly and helpful. Room size, air conditioning, staff. The staff were very nice, and knew what they were doing. The room (1 bedroom) was large and well appointed. Only a few things I found wrong with my stay: The stove top in the kitchen was small and set too close to the wall, you could see the discolouration. The bed was very uncomfortable, the bow in it was visible, and it felt like I was sinking, thus I did not sleep well. In the rooms compendium of services, it clearly stated an in room dining option for lunch, available 7 days a week. I tried to order and they were closed. Not happy with that, as the nearest open restaurant/cafe/shop was in Chatswood, the day was hellishly hot outside, and I was on public transport. I would recommend changing the literature in the room and replacing the bed. 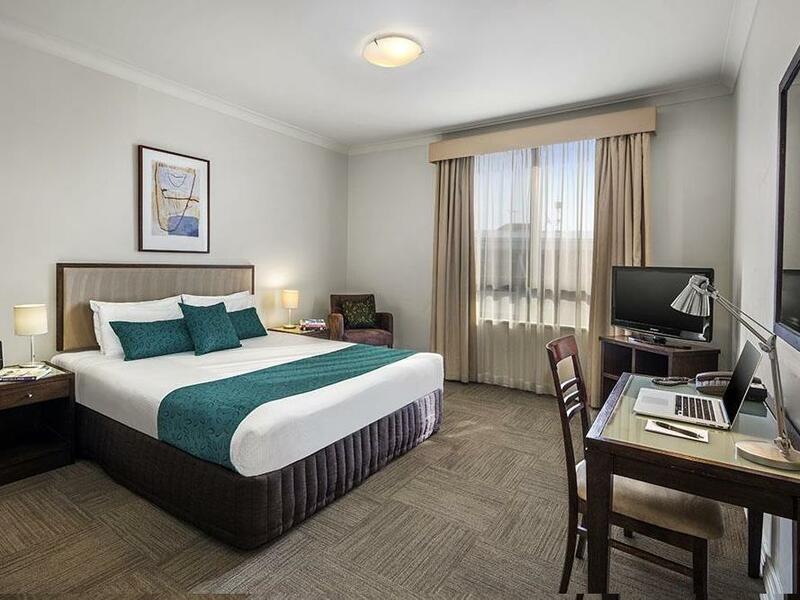 We made a last minute booking when all other hotels in Sydney were full. 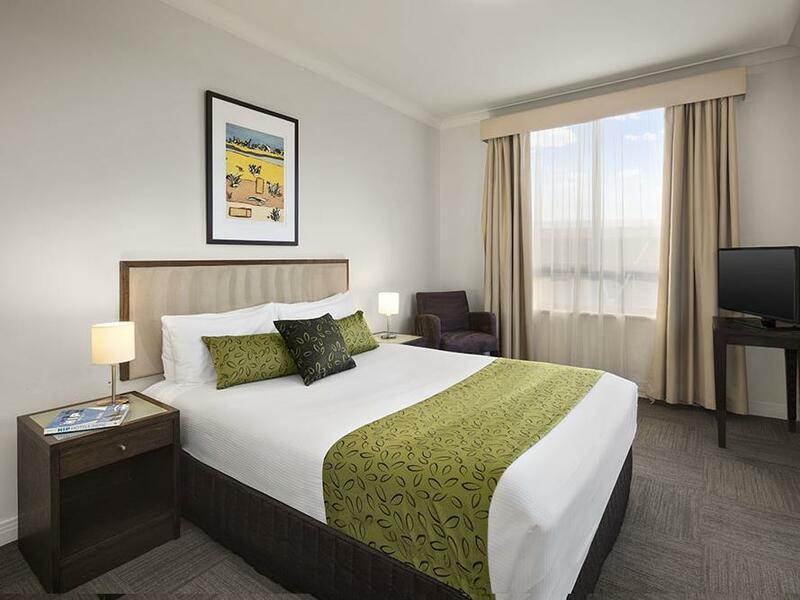 It's a business hotel aimed at business visitors in the local area.not close to the city centre, but a walk to the train will get you to the city. Cheaper than staying in the city centre so you can spend the extra money you save on dinner or admission to Sydney's sights. This is an awesome hotel for the price. We got there well pass dinner time and went downstairs hoping the food service is still going at the restaurant, they have stopped serving but were good enough to fix us stake sandwiches and send them to our room. The only con was that the hotel is a cab ride from the airport. Otherwise a great stay. This is a great location if you are looking for a place in Sydney with good access to public transport. Close to bus and train transport which was great for us as we were they to go to the Sydney International Car Show at Darling Harbour. The train station was about 500 Metres up the road from the Hotel and it was easy to catch the train into Town Hall and walk to Darling Harbour. 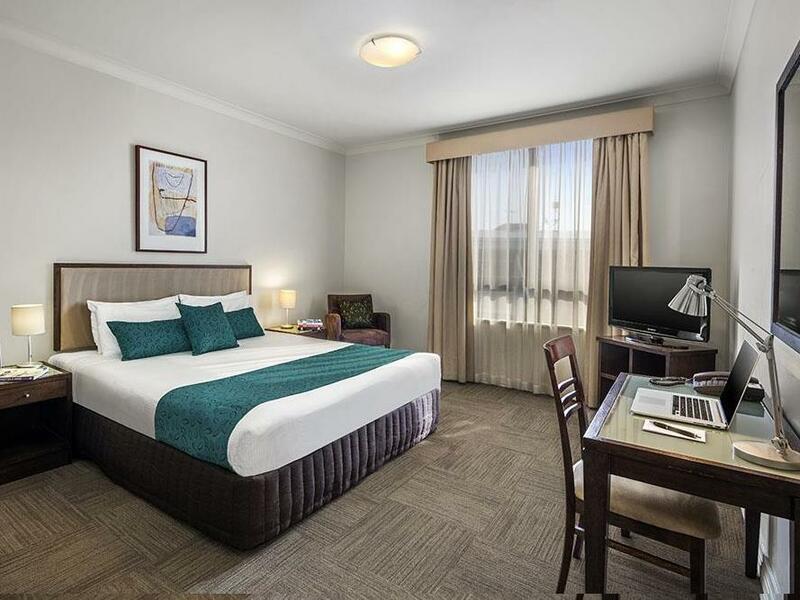 The Hotel has all the facilities you could want and there is a nice seafood restaurant downstairs or you can go next door to a nice Italian Restaurant. It's not far away to find an RSL Club or shops if you want to buy a few drinks or have a meal out at a club. Quite happy with the overall service and quality. Got a good rate of $140 for the standard room, which provided very good value as the buffet brekfast was very good. Rooms basic decor but pleasant and clean, bathroom a bit basic but again clean and well maintained. Comfy bed and as teh hotel is surrounded by lots of greenery, it is a very tranquil atmosphere. Internet a bit slow in the lobby but at least it was free. One thing that did annoy me was when my credit card was swiped for incidentals (standard practice) however to my dismay, $100 was charged against my credit card and I had to wait a few days to get it re credited to my account. This was not communicated to me. Anyway, management called me and were apologetic, so all good. A bit isoloated so unless you have a car you will struggle to get to any shops or restaurants. Friendly staff, nice restaurant, easy and convenient. Stayed in a 1 bedroom apt while attending a family event. Staff efficient and friendly upon check in, parking easy. Very clean hallways and common areas in hotel. Stayed on the 3rd floor, full kitchen facilities, laundry, shower only. Very comfortable and large bed. Selection of pay TV channels. Atlantis restaurant delicious. Overall a very comfortable and relaxing stay. considering the location of sydeny, the room was good size, clean for the price. but there was no shopping, restarant except onsite restarant within walking distance. free internet in lobby was good.swimming pool small.